Peeradej Lookklongtun wins against Charnkit 13CoinGym by points. Thelek Wor.Sungparpai wins against vs Phetsakon F.A. Group by TKO in Round 3. Khunsuek P.N. Gym wins against Mondam Sor.Weraphon by points. Tong Puideenaidee wins against Chartshynoi Sor. Prasobchock wins by TKO in Round 4. 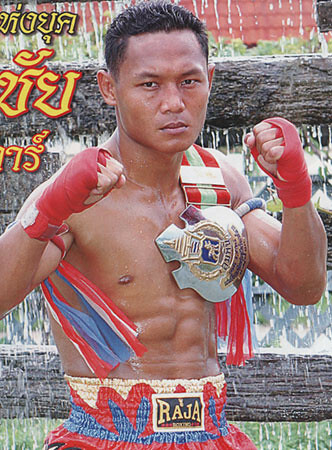 Singdam Kiatmoo9 wins against Chamuaktong Lookklongtun by points. Rongruanglek Lookprabath wins against Sarm-A Thor.Ratankiat by points. Saenchai Sinbi Muaythai wins against Nong-O Sit Or by points. Wow, I’d like to see that Sam-a fight.